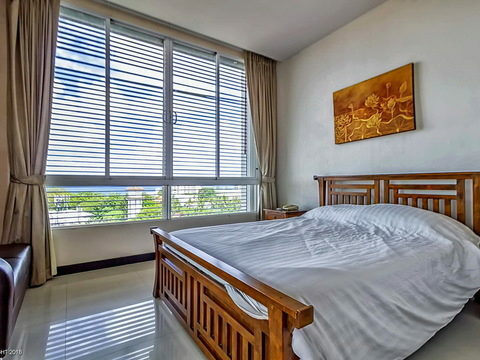 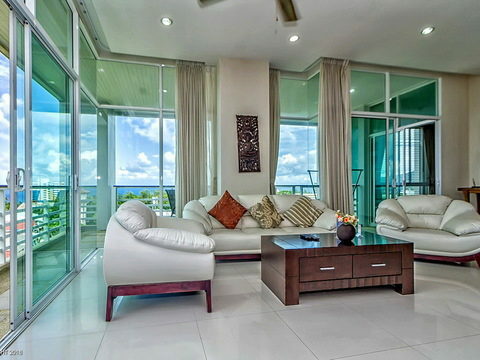 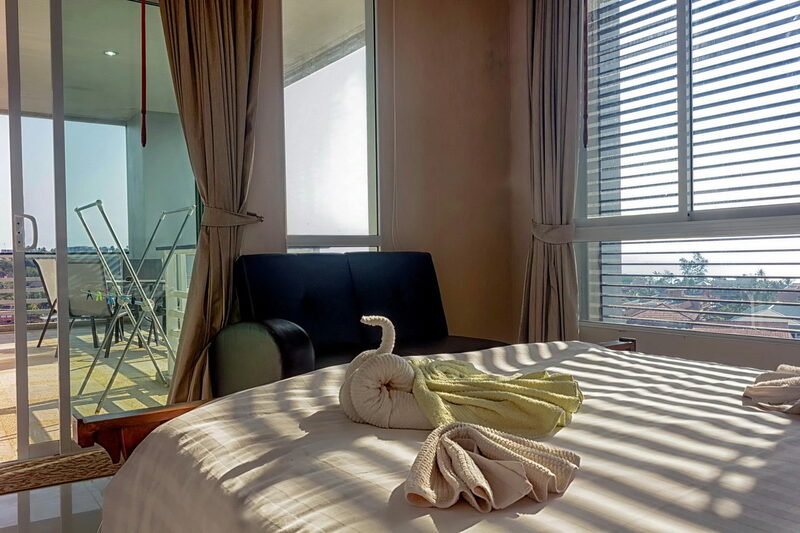 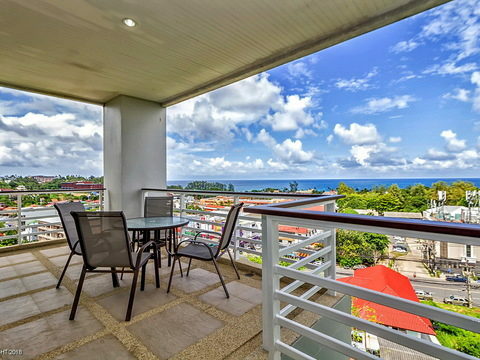 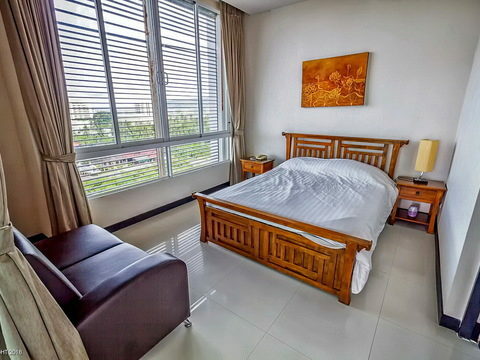 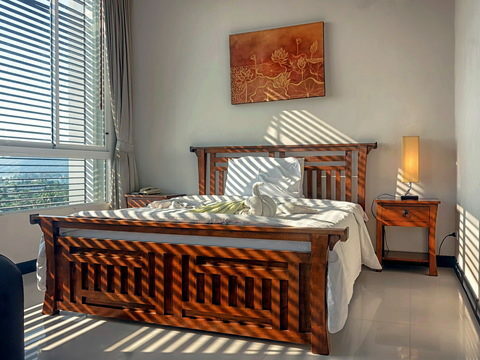 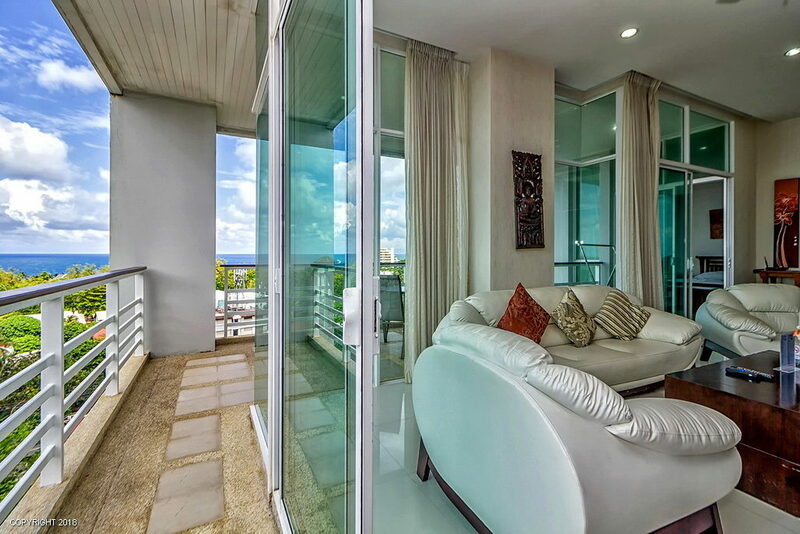 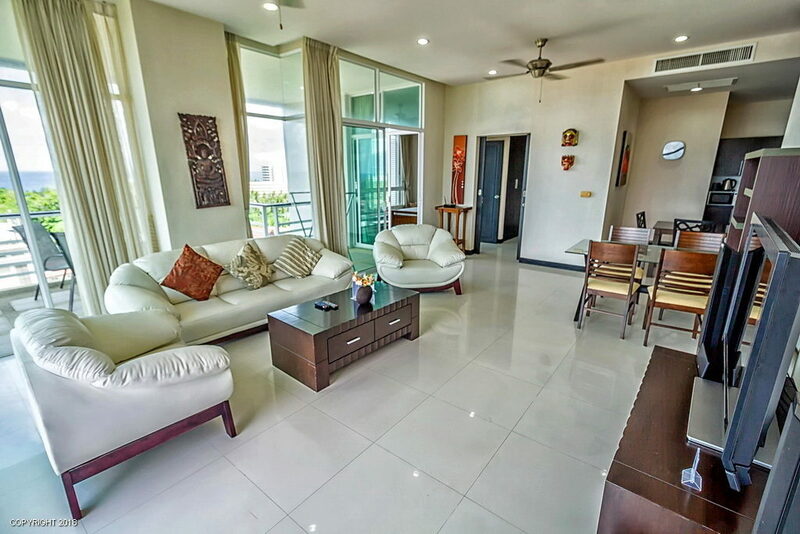 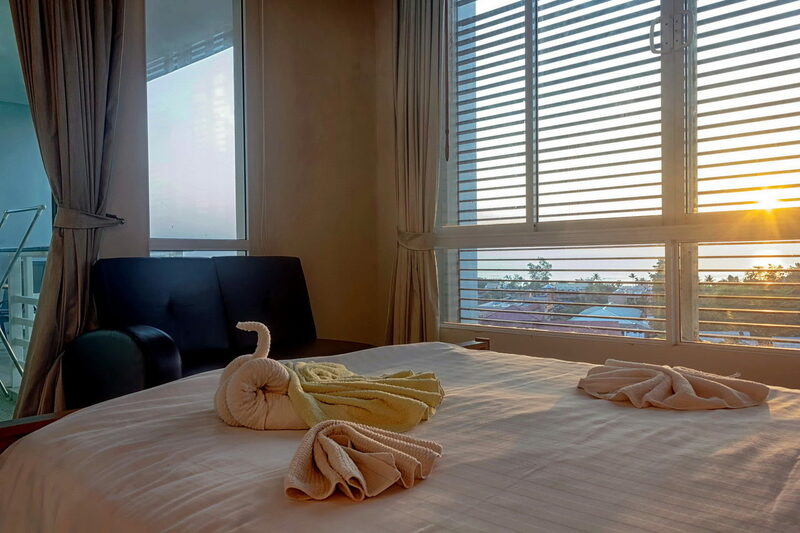 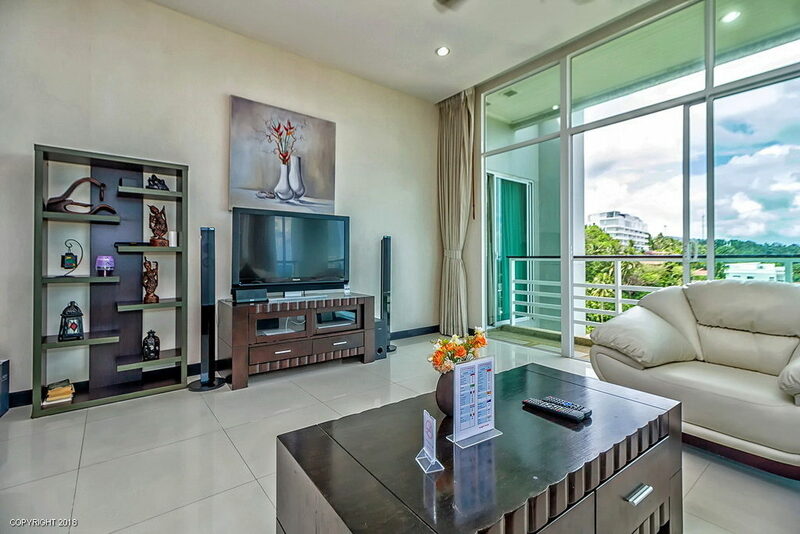 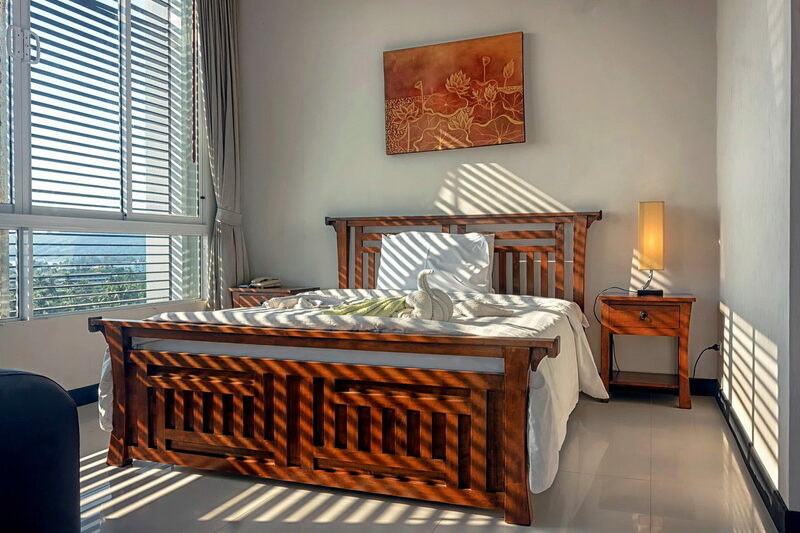 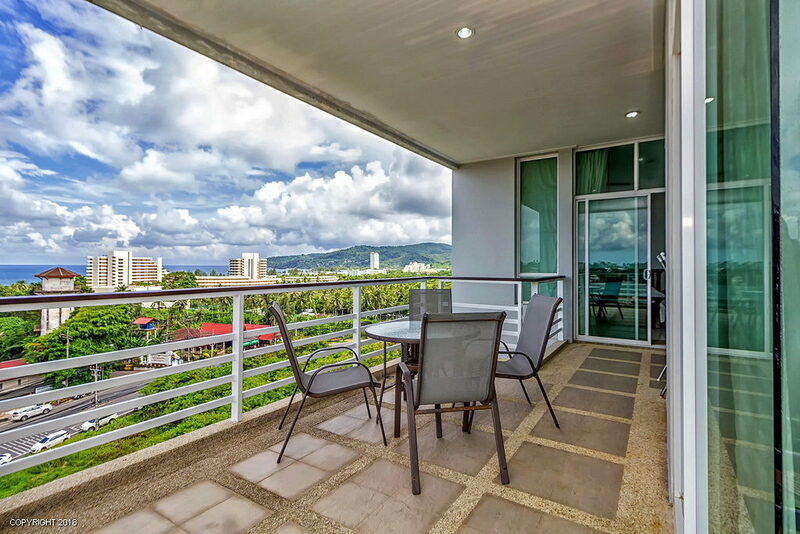 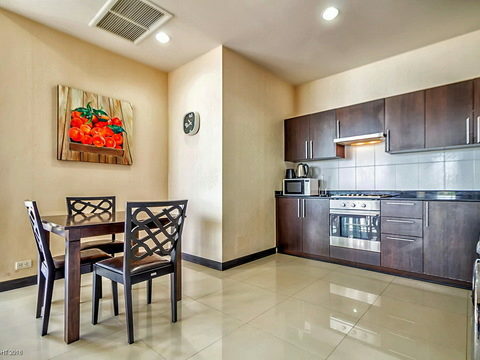 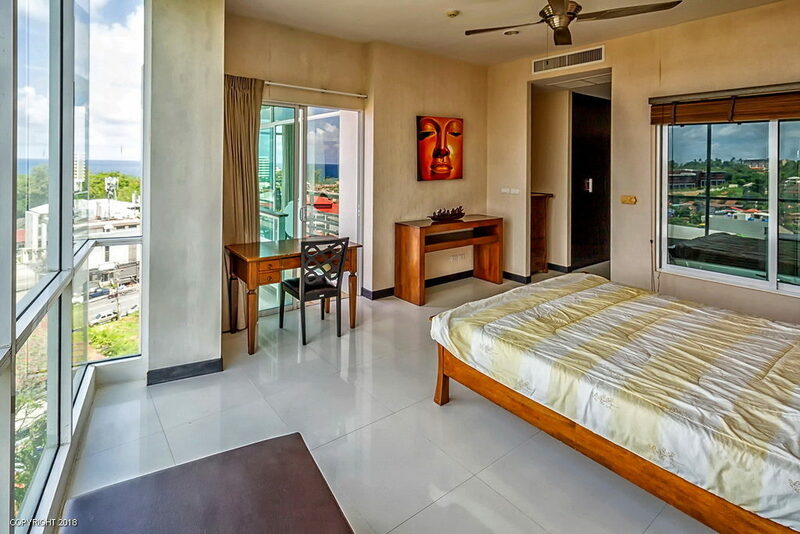 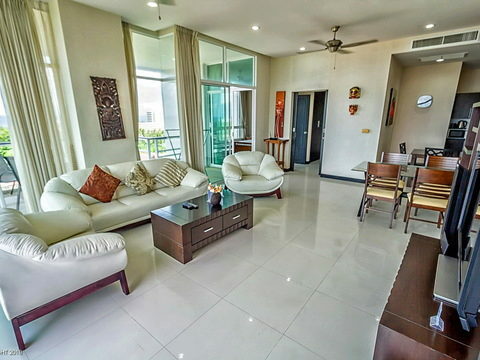 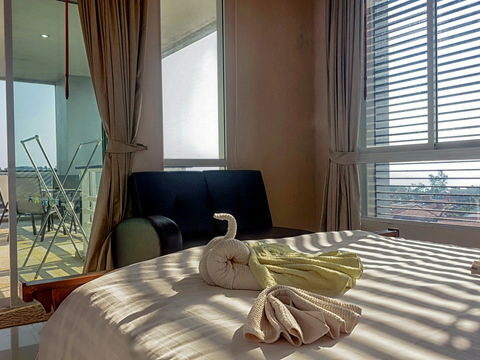 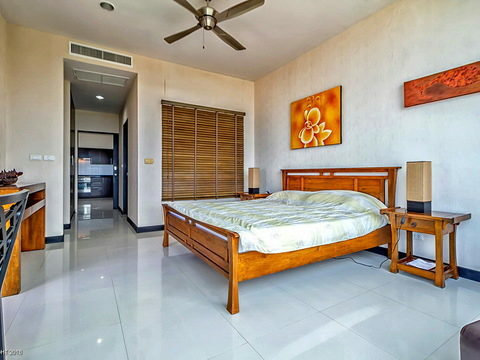 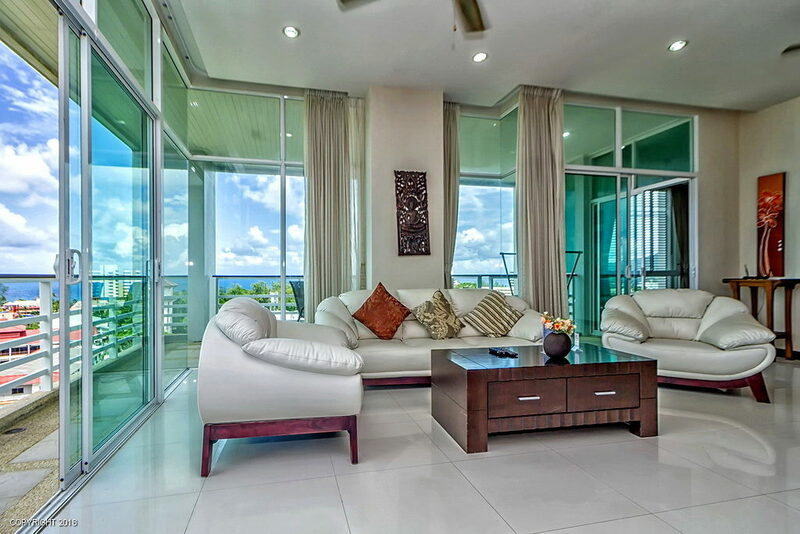 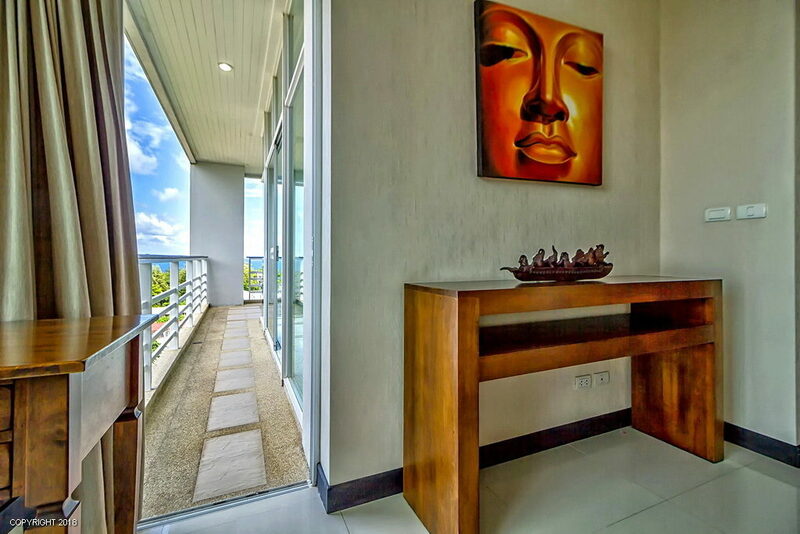 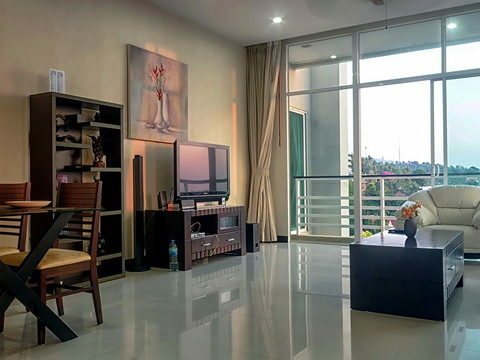 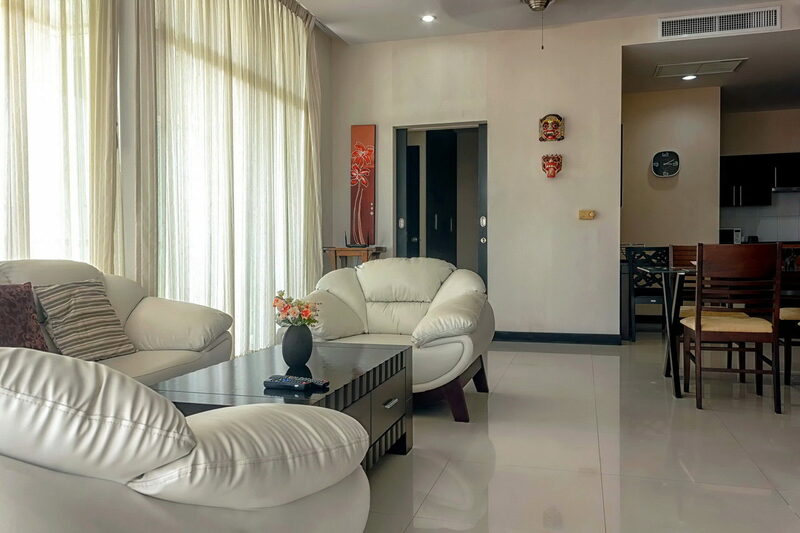 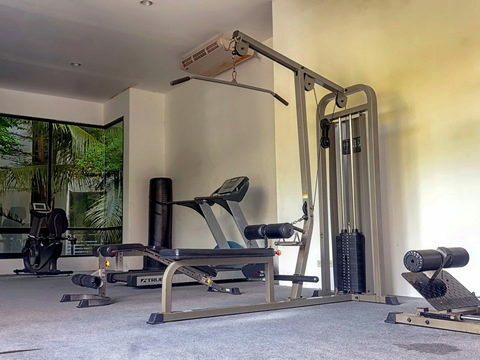 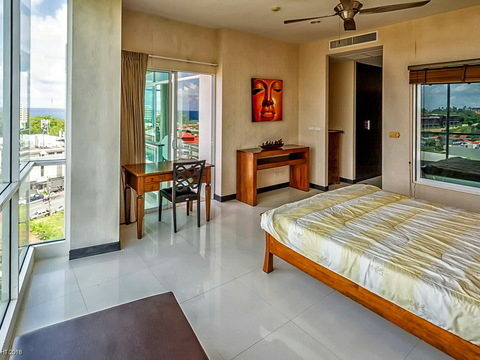 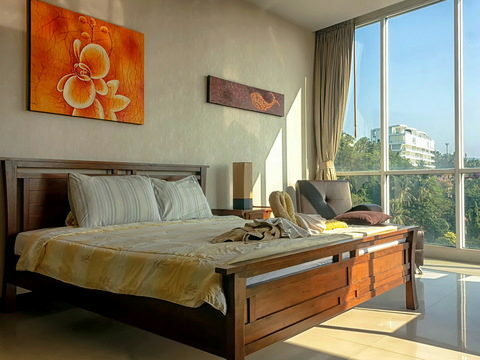 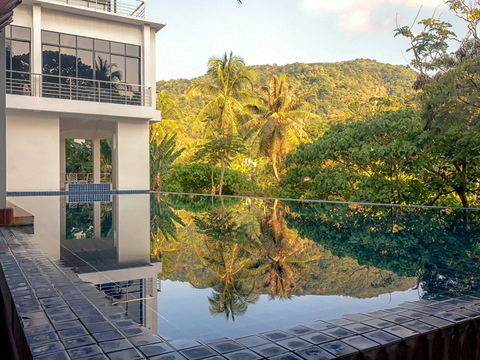 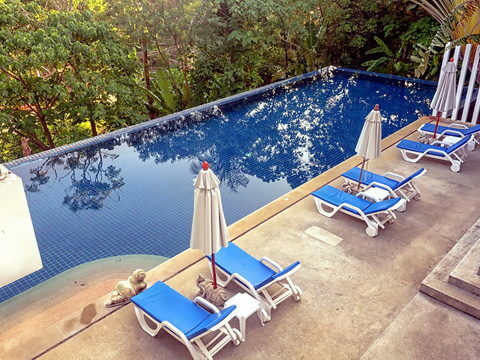 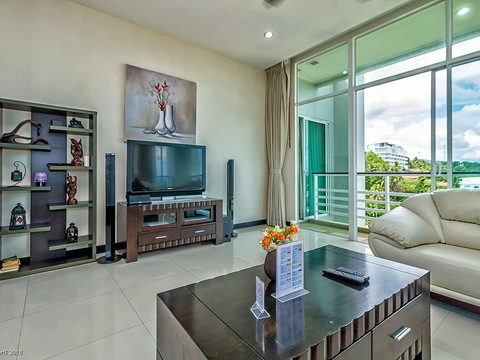 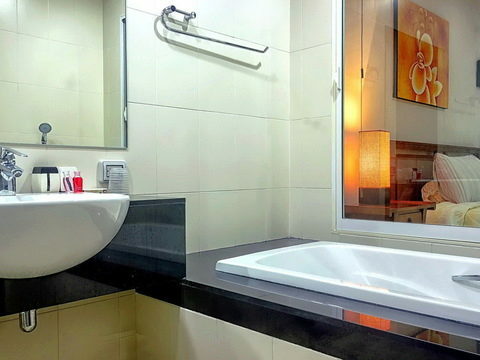 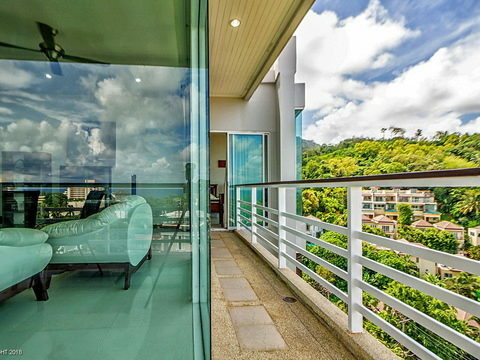 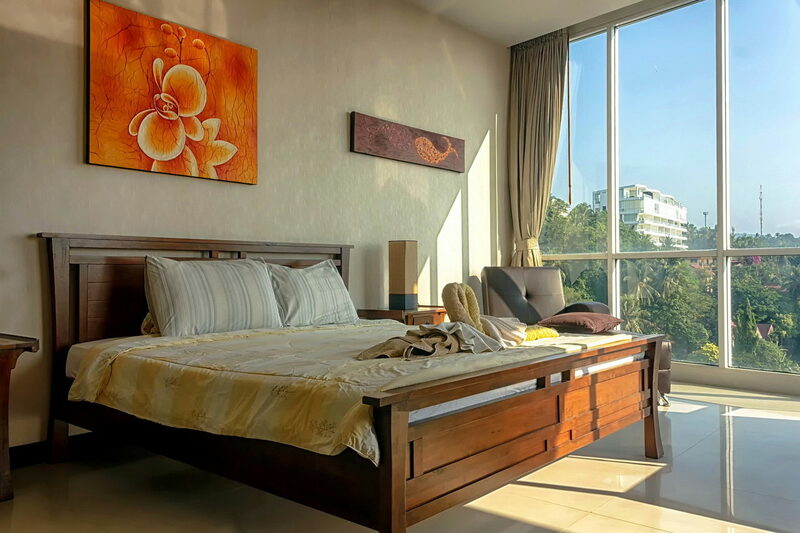 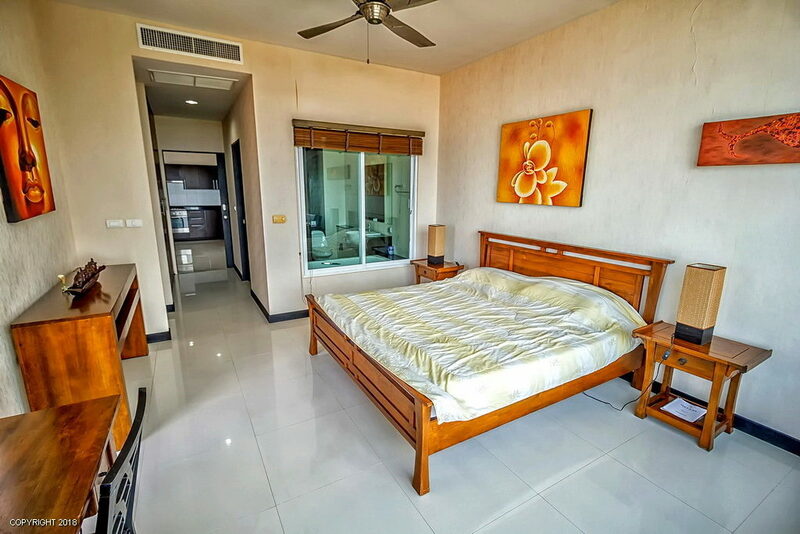 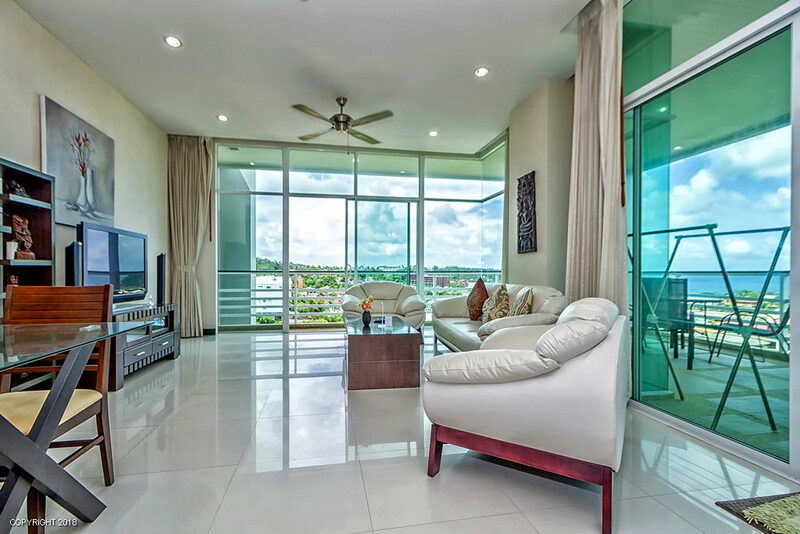 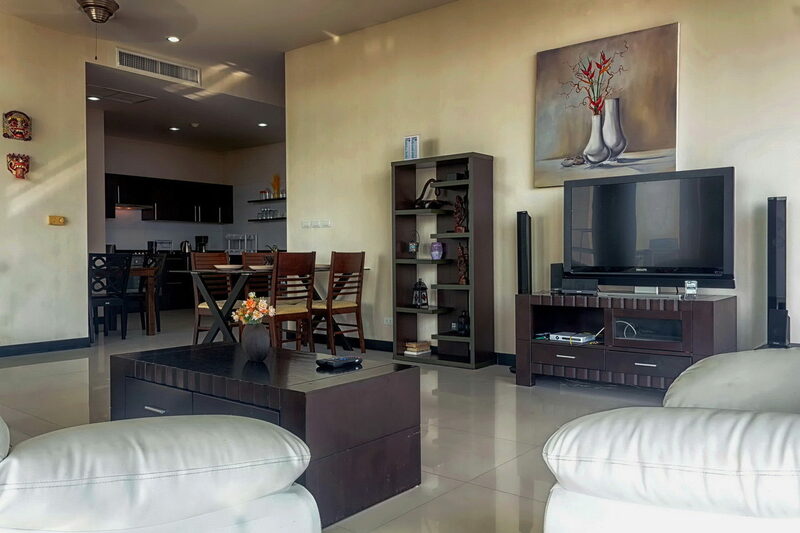 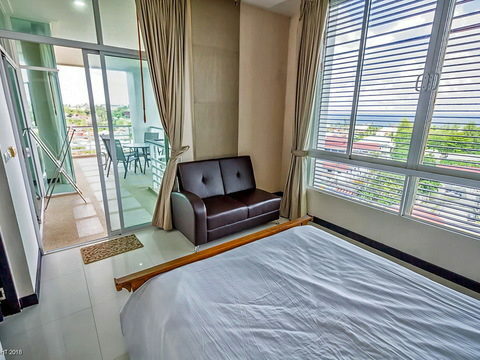 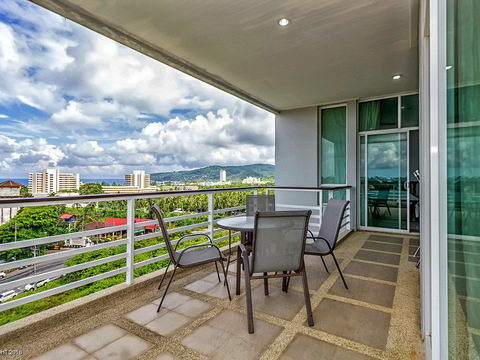 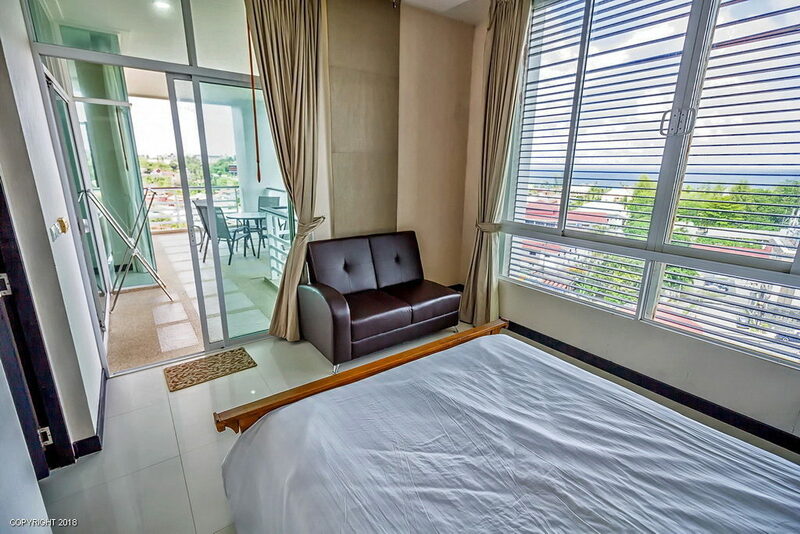 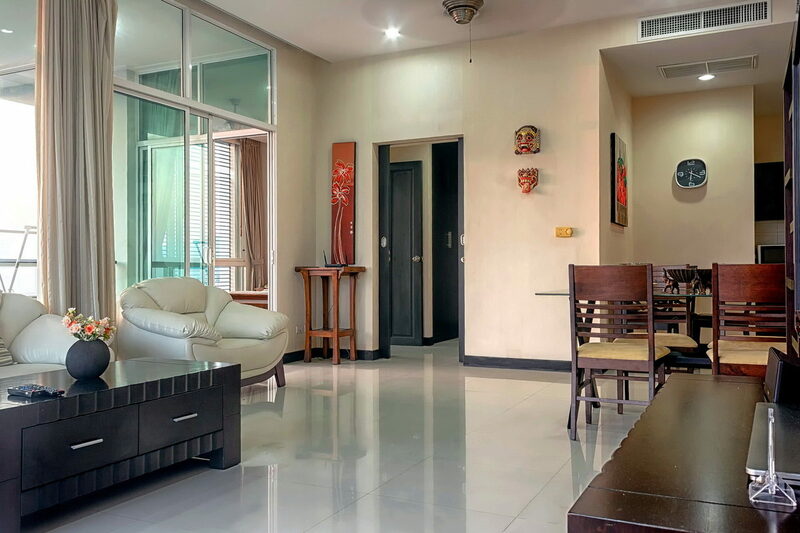 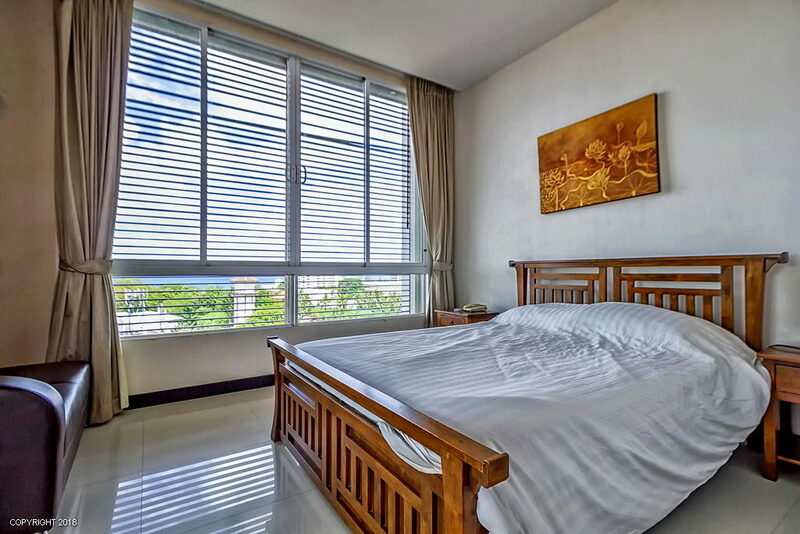 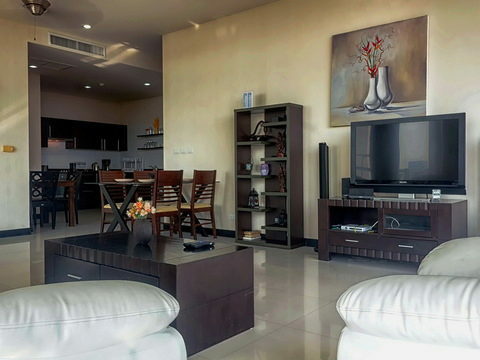 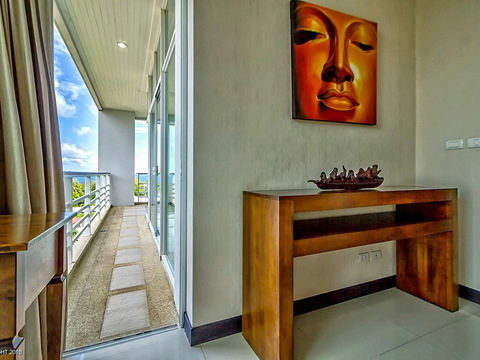 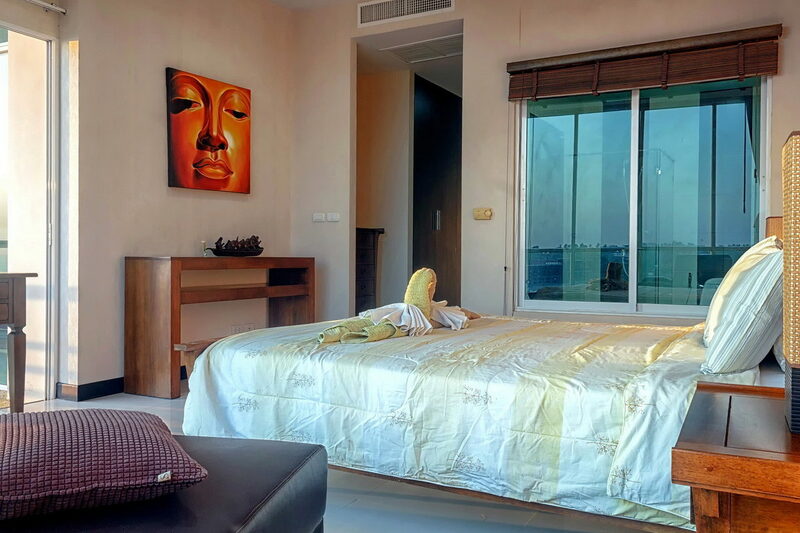 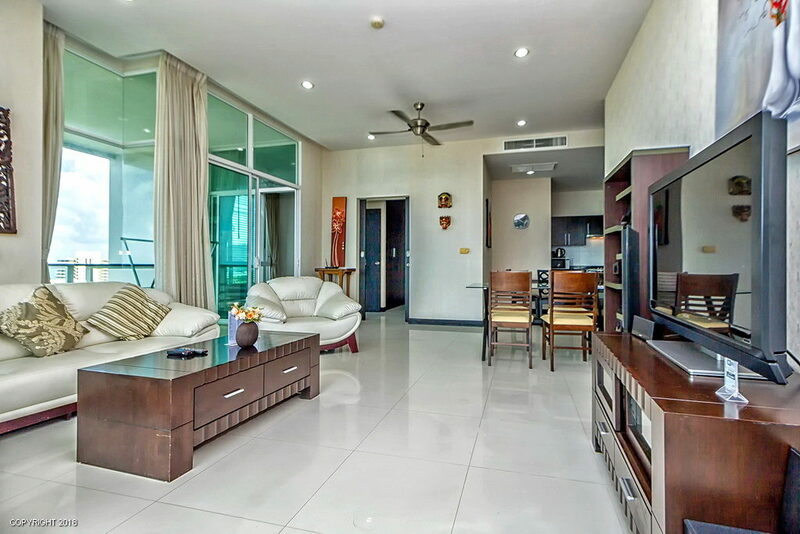 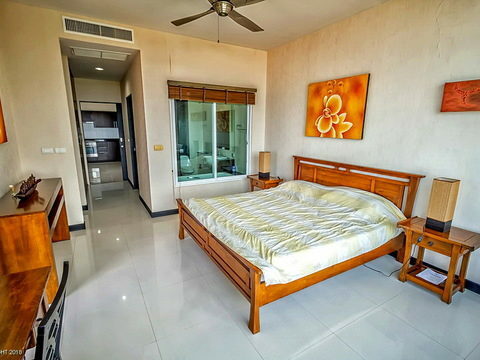 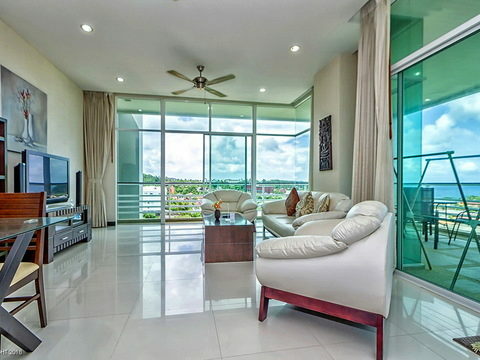 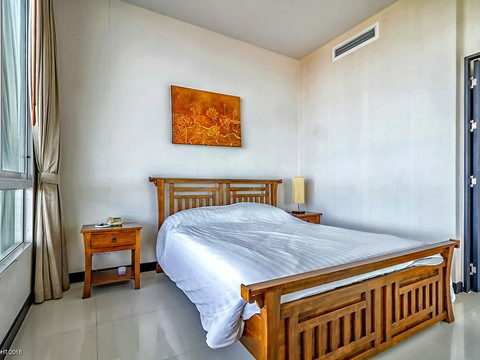 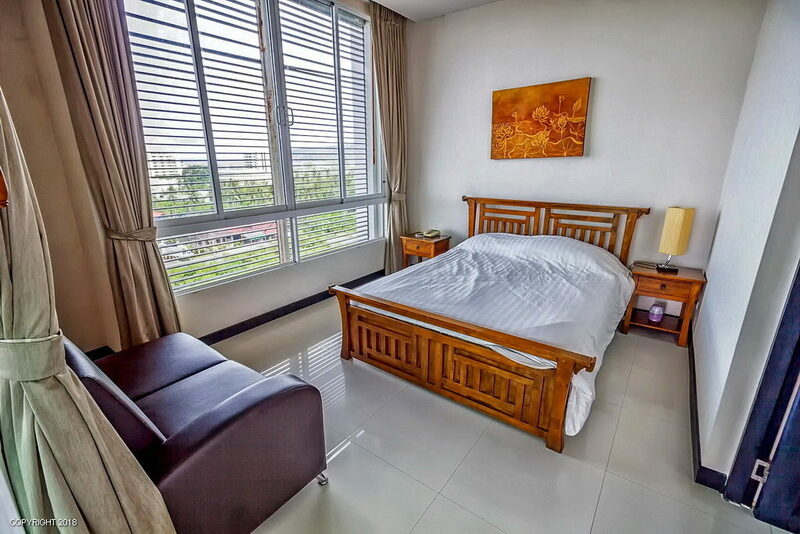 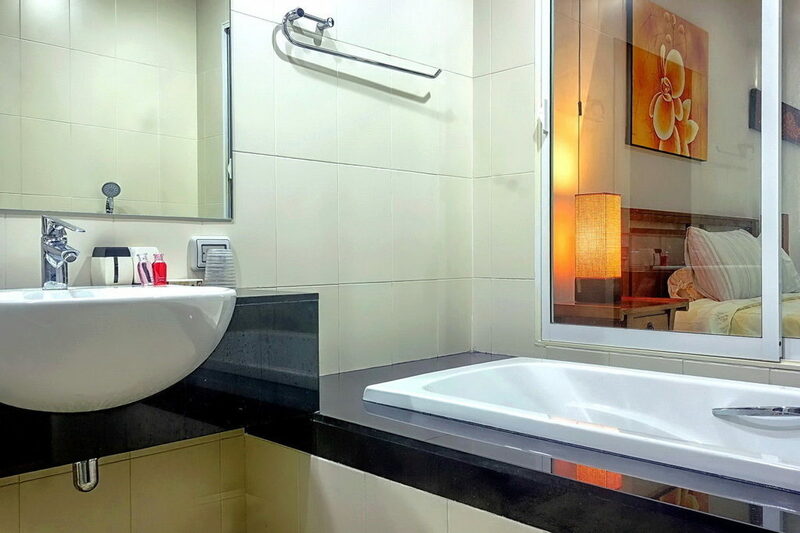 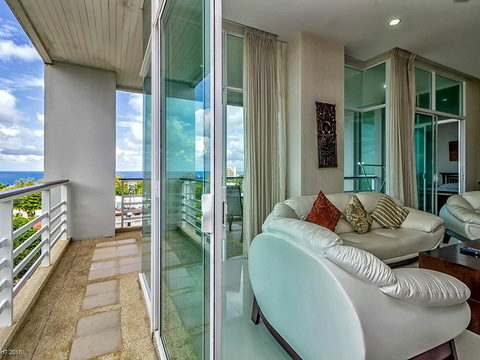 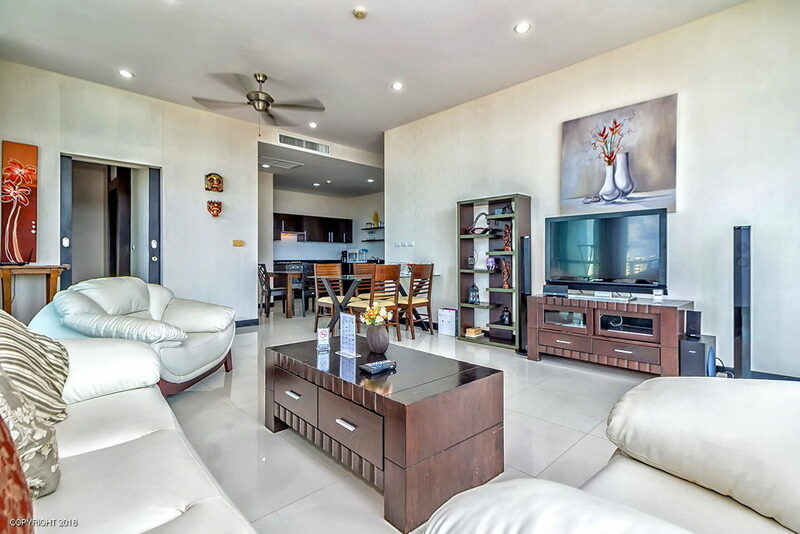 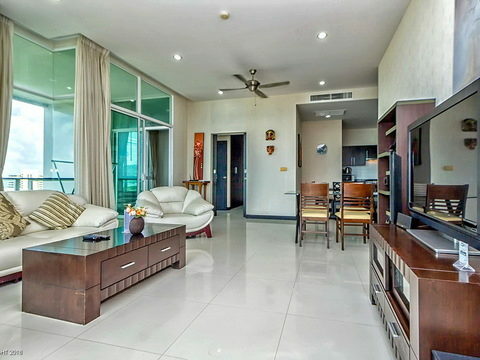 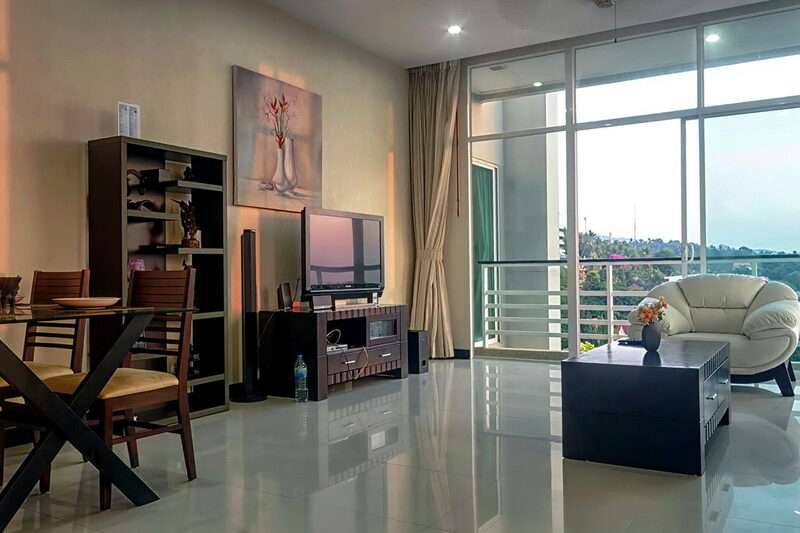 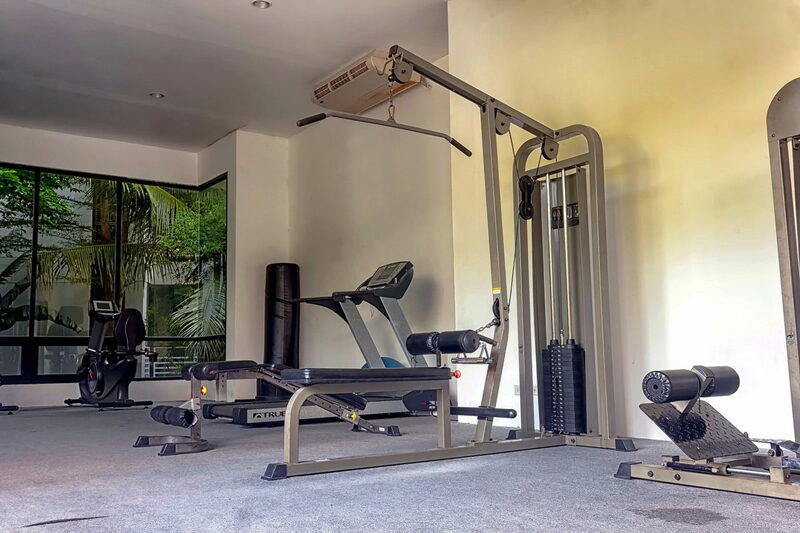 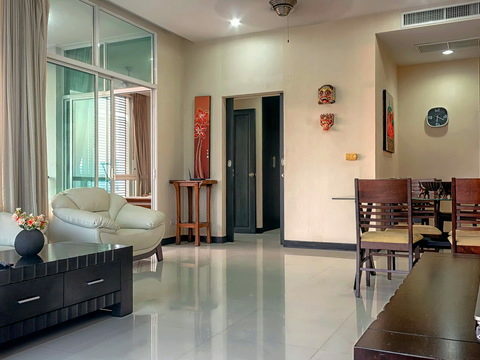 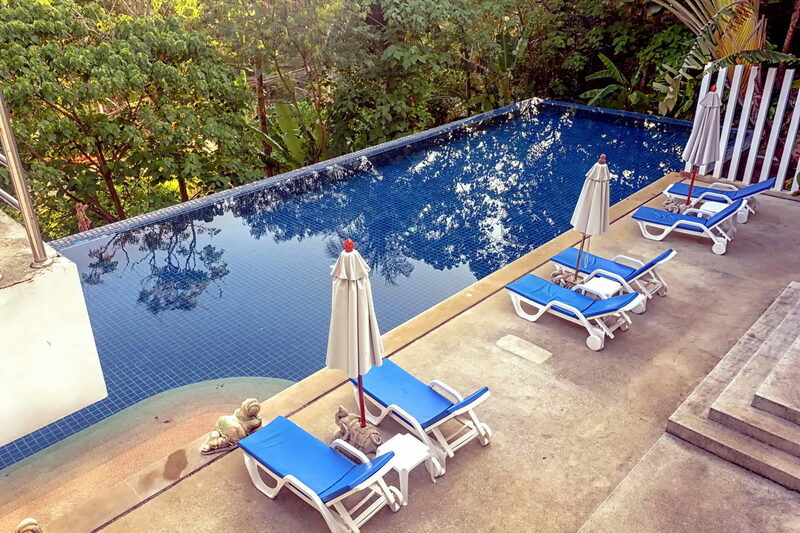 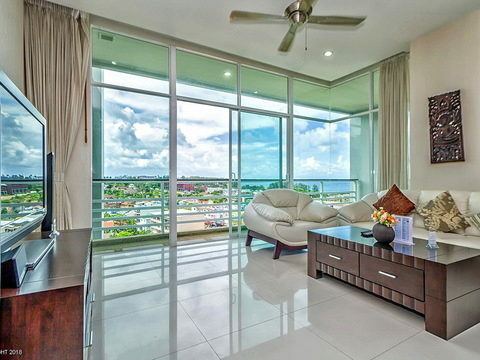 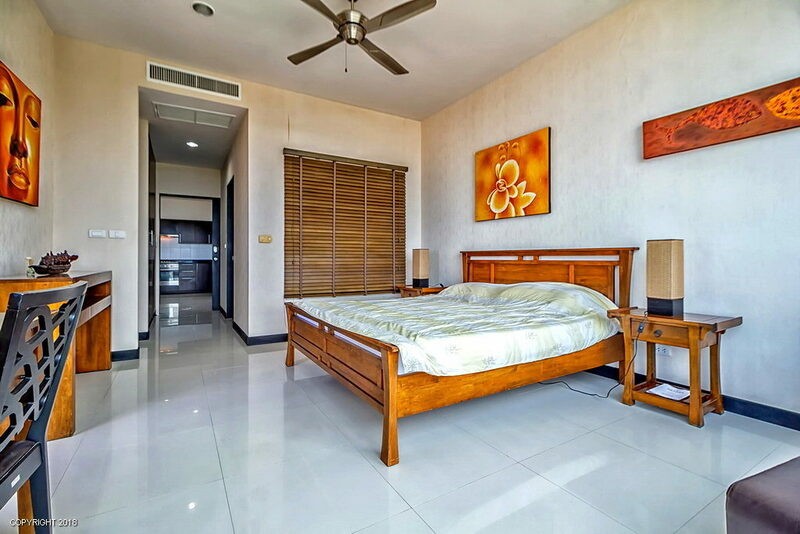 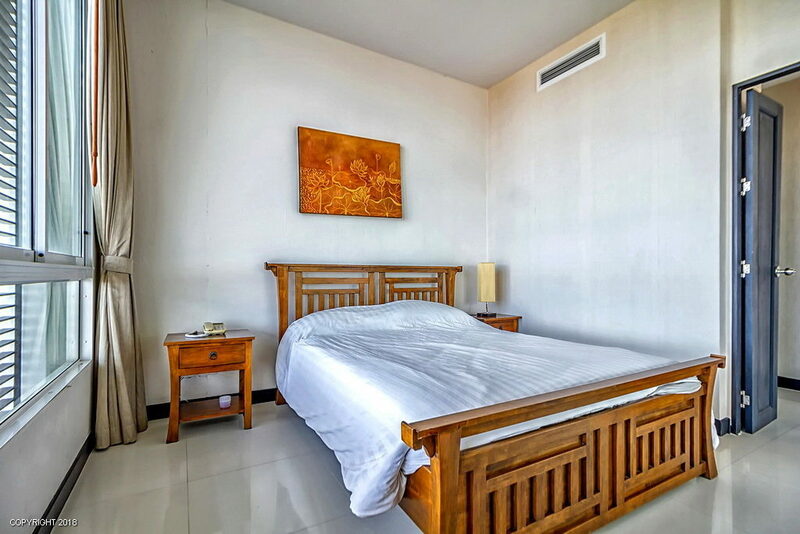 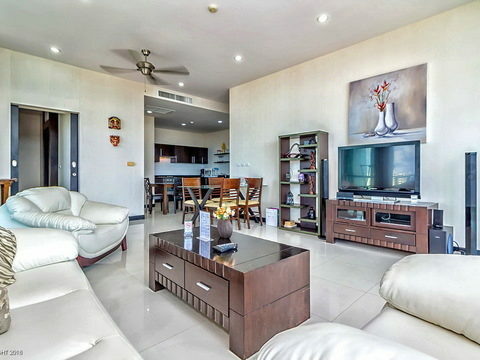 Large sea view apartment in Karon Hill condominium. 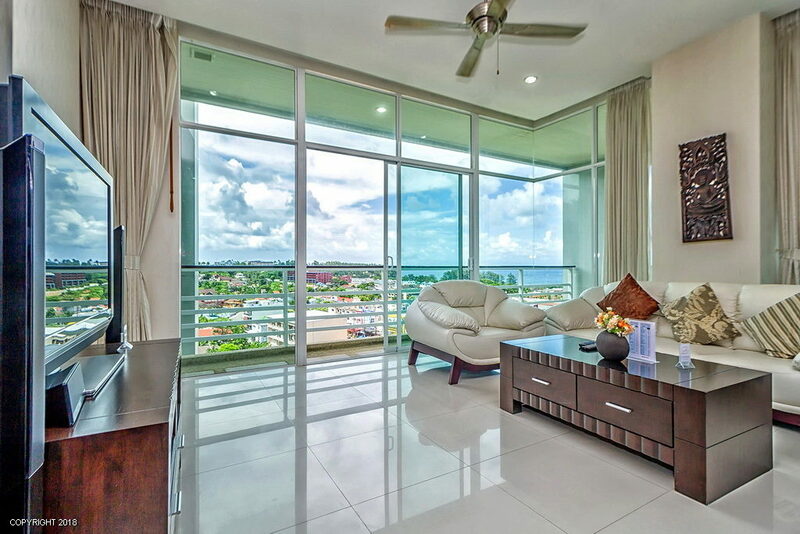 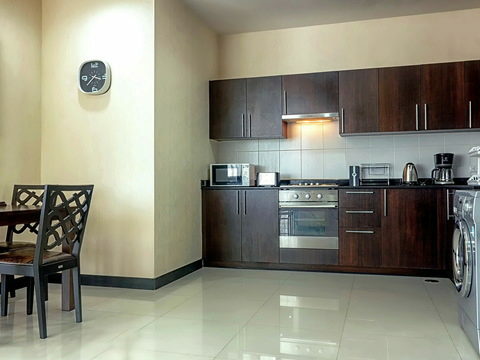 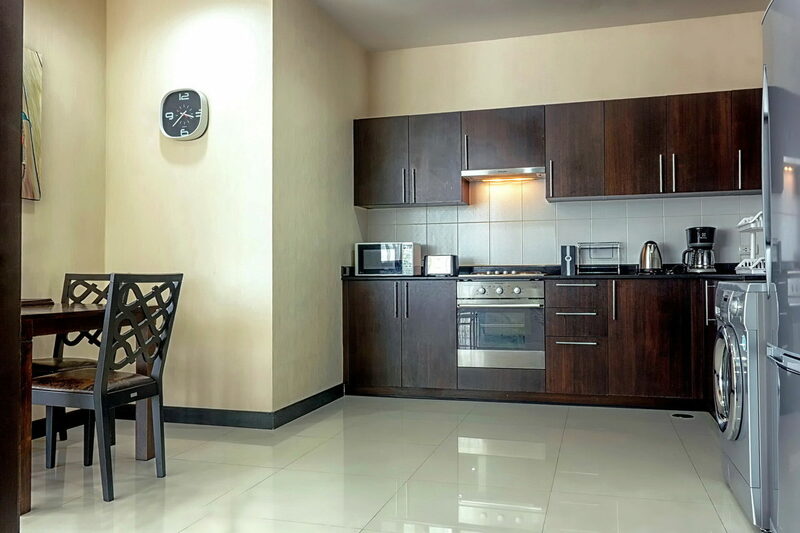 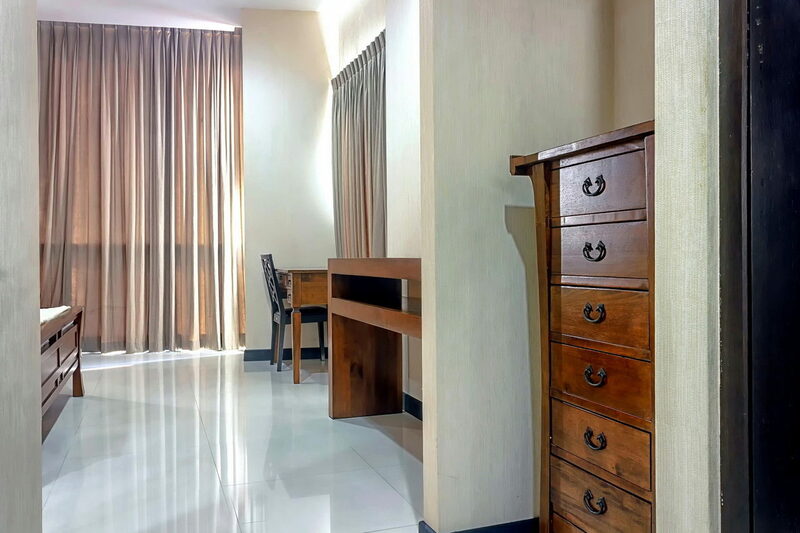 Tastefully furnished and equipped with everything you may need for your home. 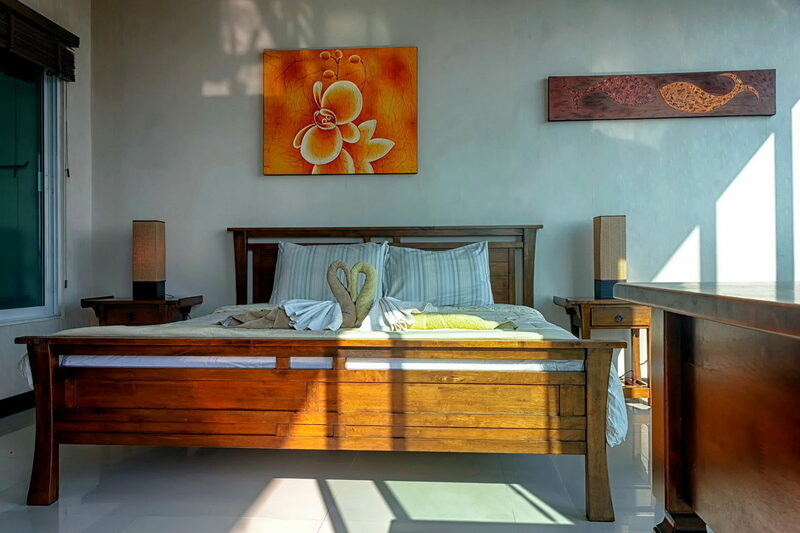 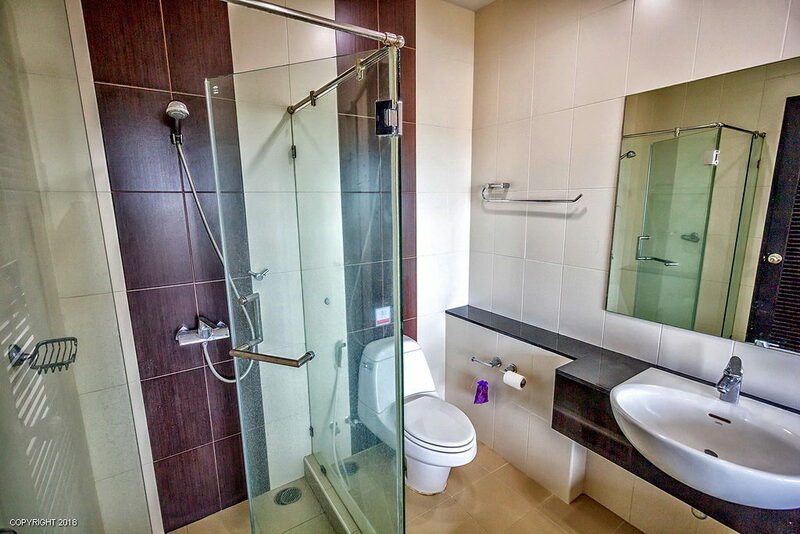 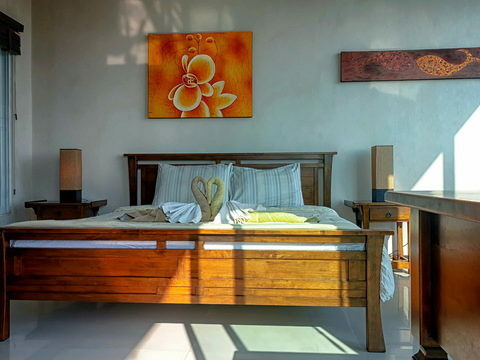 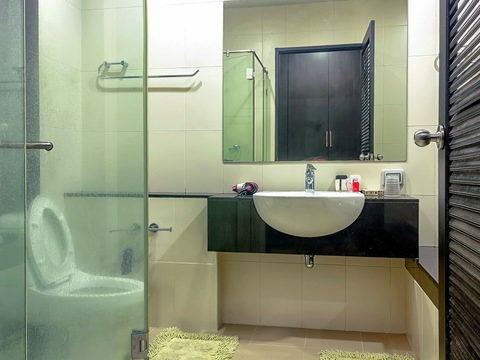 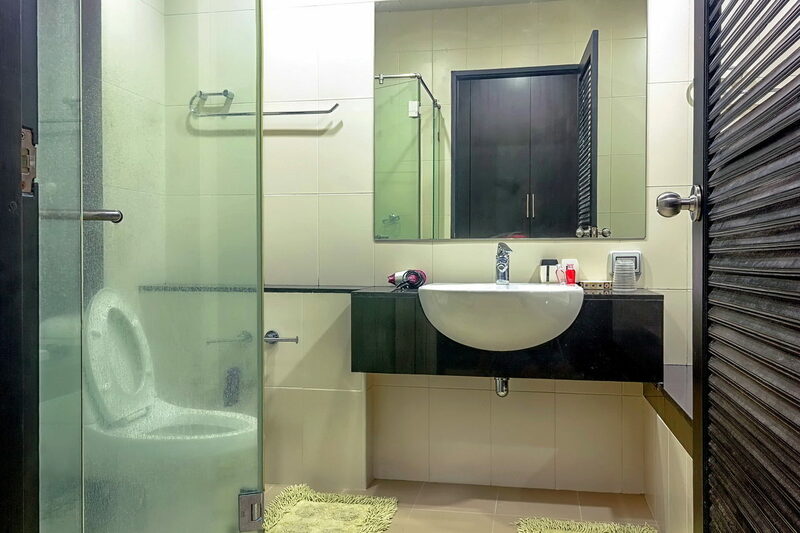 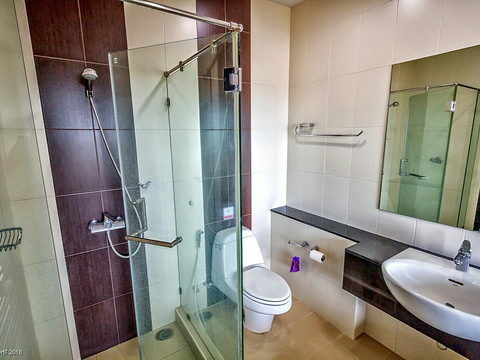 2 bedrooms with king sized beds, ensuite bathrooms, with bath tub and showers. 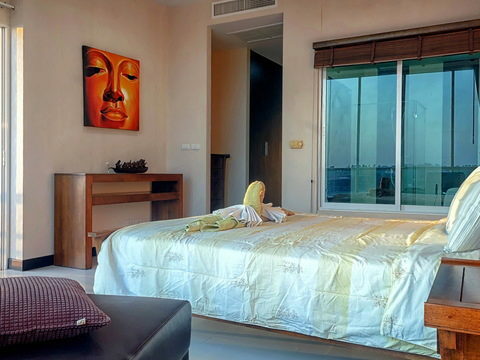 Both bedrooms have lovely sea view. 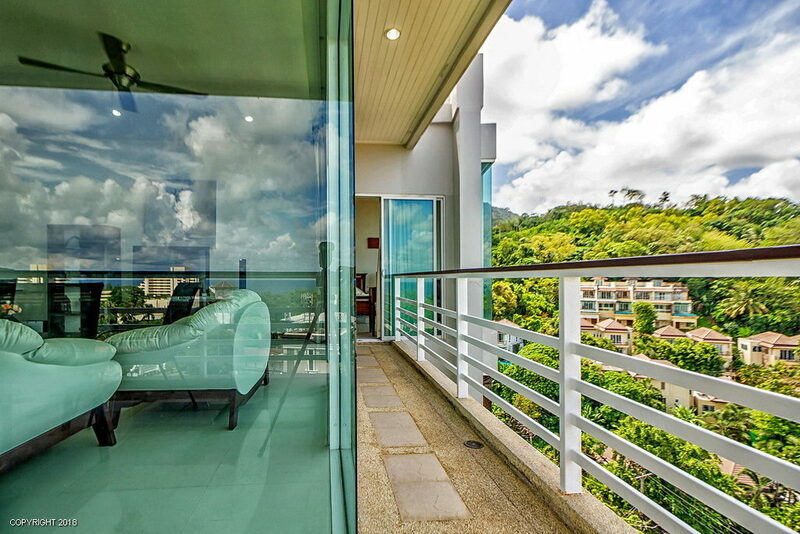 Stunning view from the living area, panoramic windows show the most. 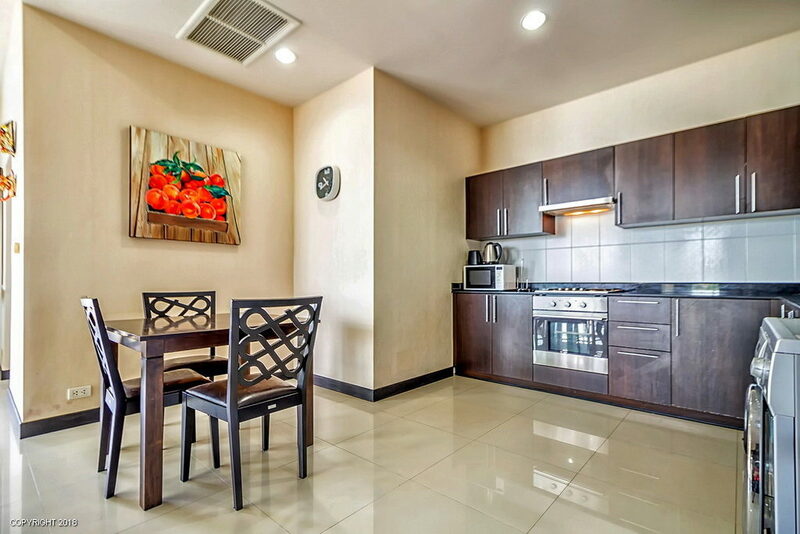 Open plan kitchen with electric stove, oven, washing machine, refrigerator, microwave, kettle, toaster and all other necessary things. Condo is located only 700 meters away from the beach, down the street with many restaurants, shops, spas and bars. 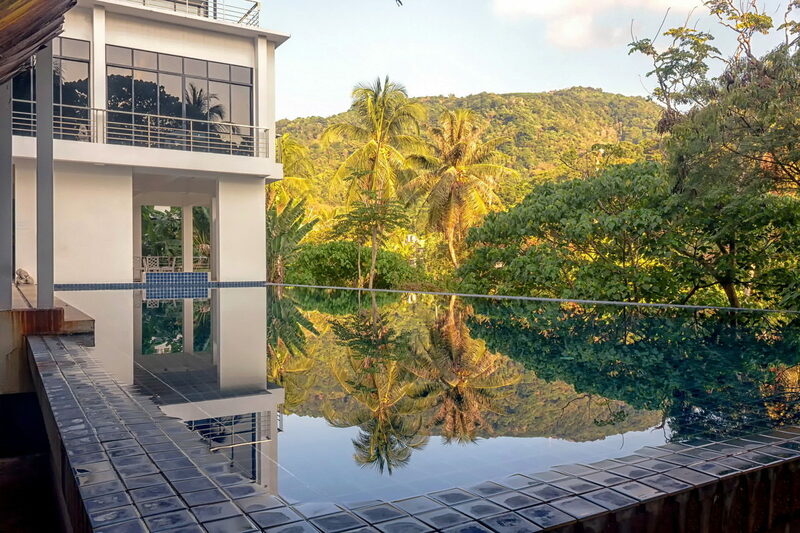 There is communal swimming pool in complex, gym and bar.